Please note that some of the links in this post are affiliate links. Using them to purchase materials does provide me with a bit of compensation, however using them is entirely up to you! It’s December 24th as I’m writing this, and I can’t ignore the fact that my last post on this blog was waaaay back in January. I had a lot of high hopes for this year. 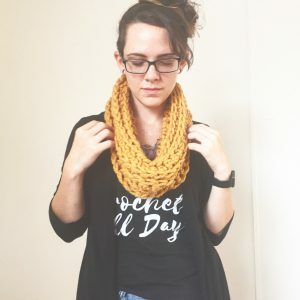 I was going to write a bunch of patterns, selfishly knit more sweaters than I could possibly wear, and I hoped to participate in another craft show or two. Unfortunately, life got in the way and I accomplished exactly 0% of any of the goals I set forth for myself. I took on a new full time job back in May that ended up sucking up a lot of my time. I lost a lot of motivation for creating, which was really upsetting, but my goal was to start stashing away some money so I could afford to open a shop for Made by Hand. At the end of August I started to get really sick. I started having really bad panic attacks and overnight I was having strange blackout episodes. I got worse as time went on, had to take time off work, then in December I finally got some answers. I was diagnosed with a rare form of Non-Hodgkin Lymphoma (stage II). Ever since the day my doctors told me I had cancer, I’ve been doing everything I can to make the most of every single day. My cancer is curable. Not just treatable, curable. I will come out the other side of this whole ordeal perfectly fine and healthy. I’ve lived a lot of my life scared of a lot of things. I have an anxiety and panic disorder that used to control my life, but spending two weeks in the hospital with chest tubes and IVs has reduced so much of my fear. Thanks to a seriously amazing medical team, I’m alive and I’m ready to start living life to the absolute fullest. Part of living life to the fullest means I want to devote more time to making art. 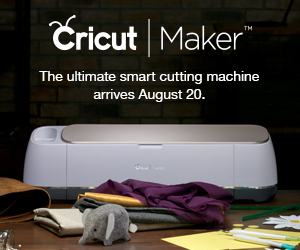 I started Made by Hand to share with and inspire others to create things. I have a ton of spare time now since I’m always tired from my treatment and I’m supposed to stay home as much as possible. What better way to spend that time than to craft? While I was staying in the hospital, my best friend sent me a box of snacks and stuff to do to fill my time. Part of that included lots of yarn for knitting/crochet! 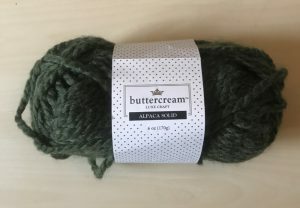 She included a skein of this really chunky, super soft yarn called Buttercream Alpaca Solid. I’ve seen this yarn in Joann Fabrics plenty of times, so I was excited to get to finally work with it. 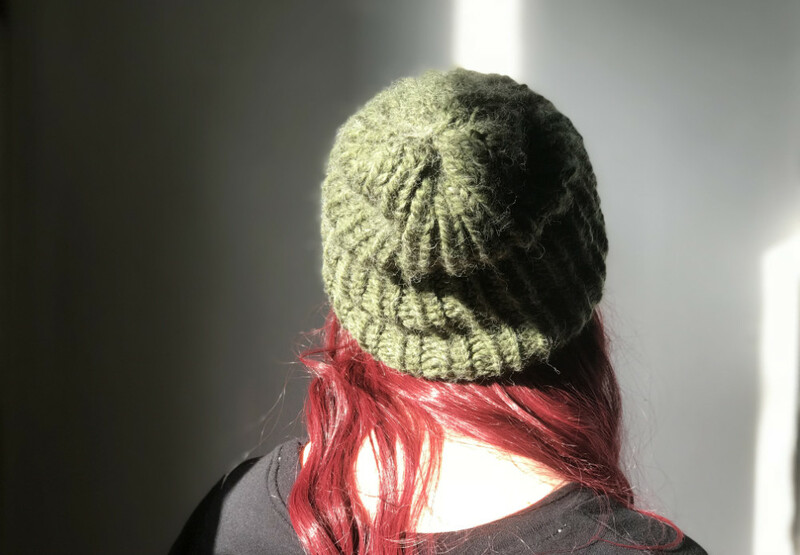 Since I was told at the beginning of my treatment that I would definitely lose all of my hair, I decided this yarn was destined to become a super warm hat for the winter. 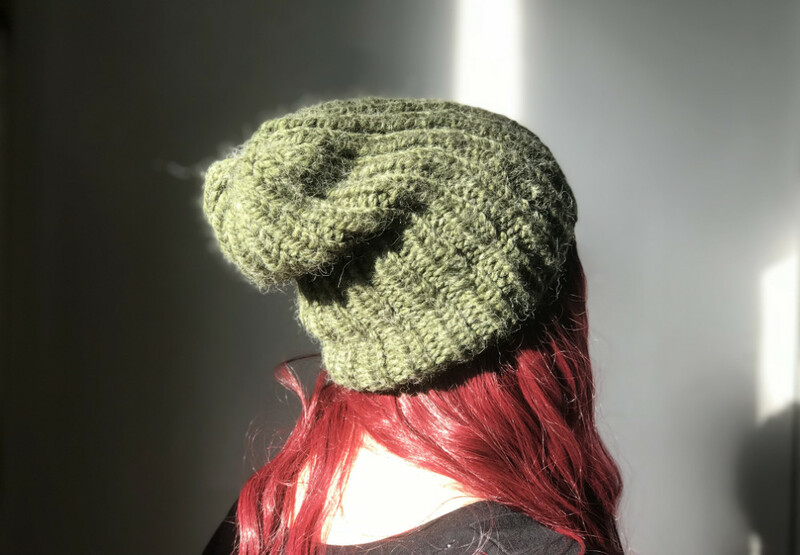 I wanted something different from the basic beanies I was used to making, so I made a fully ribbed hat that could be worn cuffed or slouchy. The result was a dense, warm, super stretchy hat I could wear alone or even over a wig. While working on the hat, I got the idea that I would love to make more of these and donate them to other patients at the cancer center where I get my treatments. 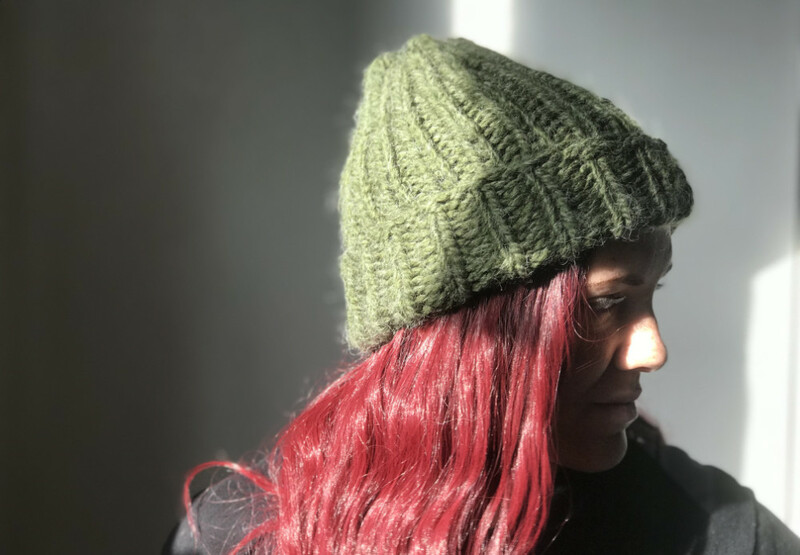 Pittsburgh gets really cold, especially in January and February, so many patients would benefit from a nice warm hat in the coming months! 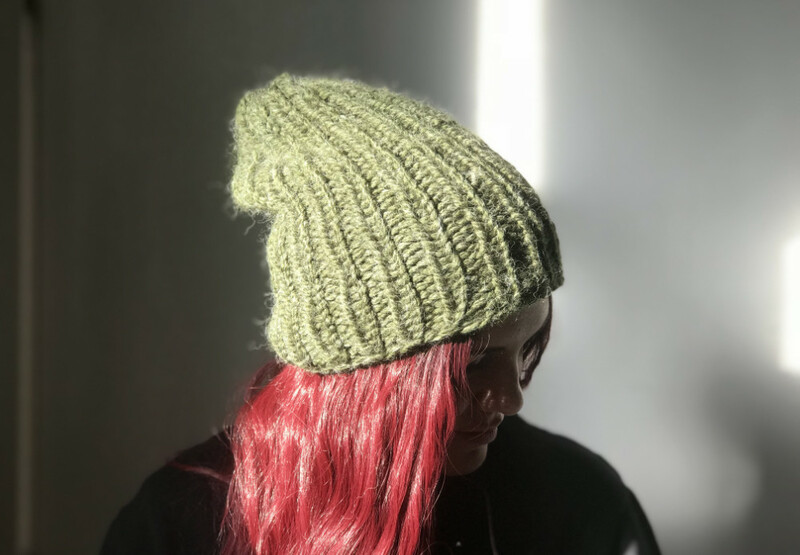 I’d love to make as many hats as I possibly can, but I realize that I’m only one knitter. My hands can only work so fast and there’s only so much time in the day. 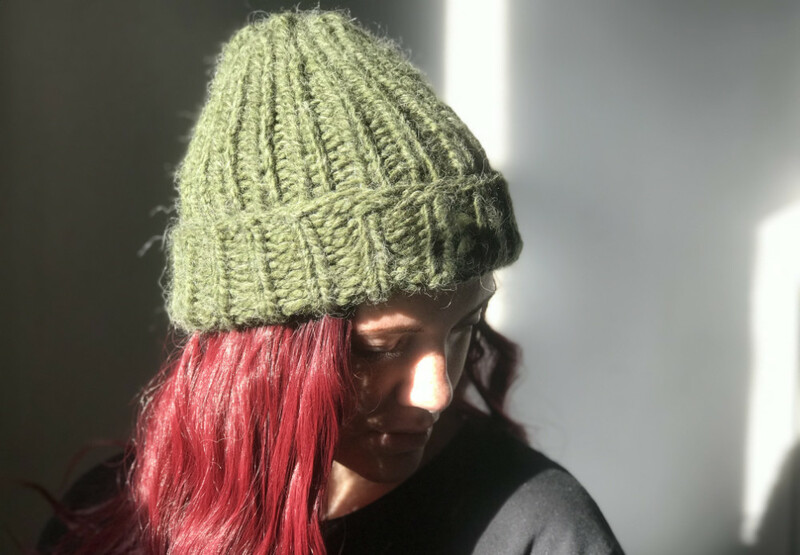 So, I’m reaching out to you–this beautiful crafting community–to help me make as many hats as possible. 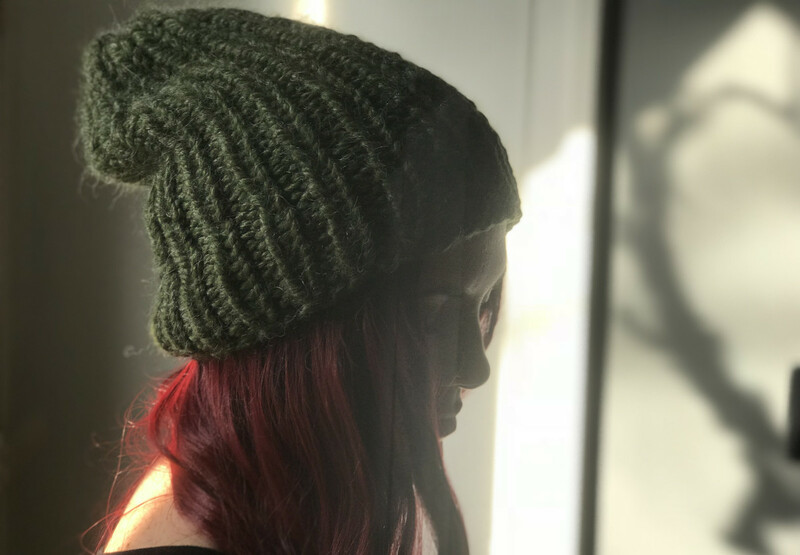 If you’re a knitter, please consider taking the time to make and donate a hat. Just follow the pattern at the end of this post. It’s super simple and works up pretty quick! I do suggest using the specific yarn I used because it’s very soft. Chemo treatments can leave patient’s scalps very sensitive, so it’s important to use soft materials. 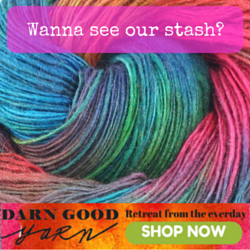 If you can’t get the Buttercream yarn, any soft, washable super bulky yarn will do. I’ve added some other yarn suggestions in the instructions below. If you’re not a knitter, or you don’t have the time to make a hat but still want to help, please consider donating a skein of yarn. 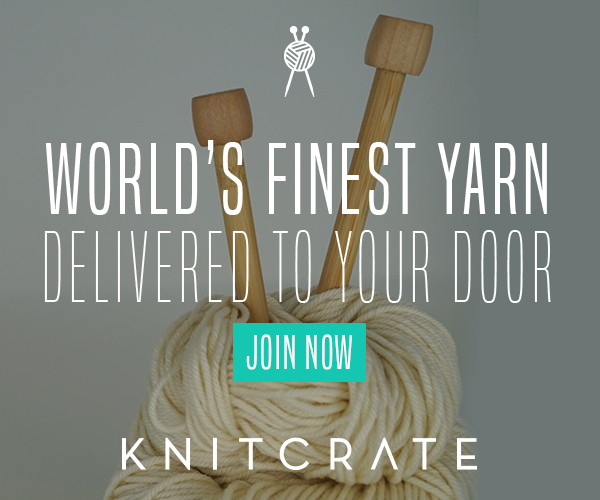 I will use the yarn you send to knit a hat myself to be donated with the others! To get the address on where to send the hats and yarn, please send me an email expressing your interest in donating. You can also reach out to me in my DMs on Instagram. That’s it! A super simple gesture that could seriously make someone’s day. I’m not sure if this idea will actually work and if I’ll get any donations, but I can try right? 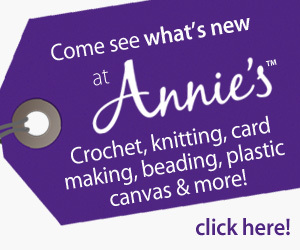 If you’re ready to make a hat and a difference, scroll down and get your needles ready! Cast on 40 stitches using the long-tail cast on method. Join stitches together to begin working in the round. Place a stitch marker at the beginning of the round. Round 1: K entire round. Round 2 (begin ribbing): K1, P1 the entire round. Round 3+: Continue the K1, P1 pattern for every round until the hat measures ~11.5 inches tall. Binding Off: On the next round, K1, K2TOG the entire round. Bind off the remaining stitches by cutting a long tail and threading it through the live stitches. Once the tail is threaded, remove the needles and pull tight to cinch the top closed. Weave in all ends. And, that’s it! Cuff the brim of the hat ~2 inches for a fitted hat, or leave it slouchy for a more casual look. Mostly self-taught, hungry to learn, and eager to teach. I've been exploring creative outlets for over a decade and refining my skills. I believe everyone is capable of learning a new skill as long as they put in the effort, and I hope to inspire and encourage others to work with their hands. 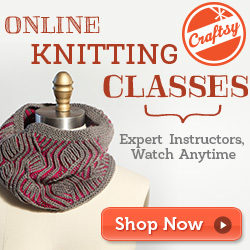 Knitter, crocheter, seamstress, artist, photographer, designer. I'm just trying to spread the joy of creating and working with my hands.